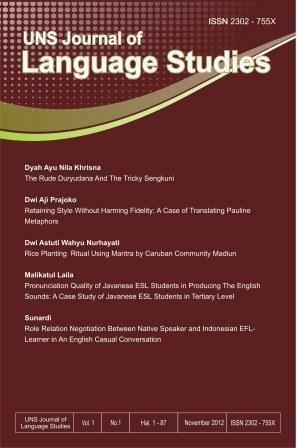 The UNS Journal of Language Studies was firstly published on November 2012. 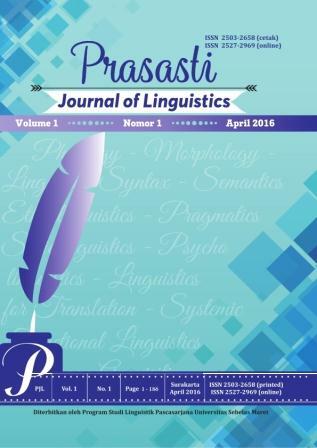 Then, it was changed into Prasasti Journal of Linguistics on March 2016. The submission file is in OpenOffice, Microsoft Word, RTF, or WordPerfect document file format.Articles should include: Title, Contributors, afiliation, email; (a) Abstract, (b) Introduction, (c) Theory and methods, (d) Finding and Discussion, (e) Conclusion, (f) References.Abstract should be prepared in English, 250 words at most and single space. It includes the aim of the study, the methods of the study, and principal conclusions. Words or short-phrases are selected for keywords to assisst indexers in cross-indexing the article. Articles should be original. 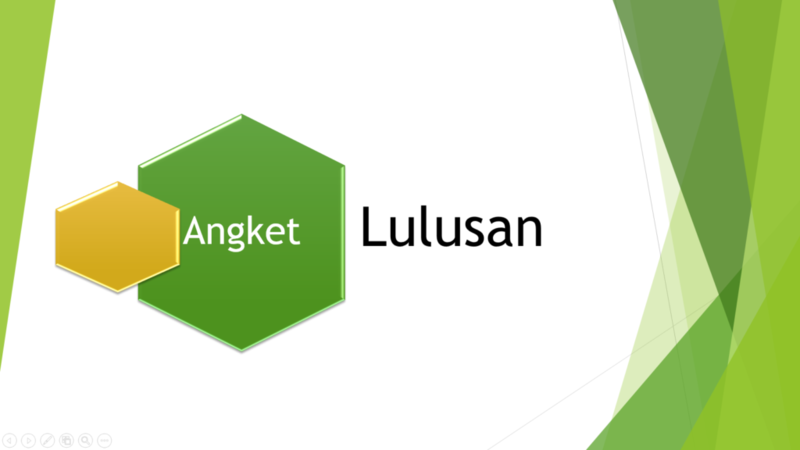 Articles is written in either English or Bahasa Indonesia. Example look layout can downloaded in here [Template PJL]. Only sources which are quoted are written in the bibliography.References should be in alphabetical and chronological order according to the APA 6th edition.